Products — GREAT OCEANS LLC. Great Oceans works exclusively with fresh, wild, long line, hand line, and pole caught tuna and swordfish. These giants of the sea must be handled with the greatest care to preserve and protect their quality from the vessel to the table. Our fishermen, graders, packers, handlers and truckers are all dedicated to the highest quality standards. Every Great Oceans tuna and swordfish is individually graded at the dock and then re-graded on arrival at our U.S. warehouses for freshness, color, texture and fat content. In addition, at Great Oceans headquarters, each shipment is also graded for taste in our test kitchen. Ultimately, it is superior flavor that keeps customers coming back again and again to both restaurants and retailers. Click HERE to view maps of Great Oceans worldwide sources of Tuna & Swordfish. At Great Oceans, we supply our discerning customers with the highest quality superior grade fresh whole north Atlantic salmon. Our fish is flown in twice weekly to ensure a continuous supply. We carry whole salmon and salmon fillets from Chile, Norway, Scotland and the Faroe Islands. You can count on us to meet all of your salmon needs. 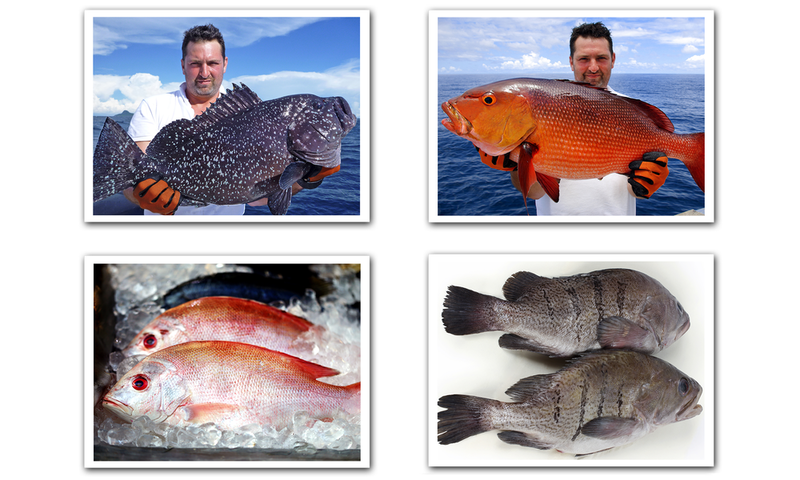 We understand that superior freshness is the key to a successful snapper and grouper business. Our snapper and grouper is sourced from regions that produce only short trip, top quality fish. All fish is fresh, whole and gutted, and packed specifically to maximize shelf life for each individual species and size. We specialize in Yellowtail Snapper, Caribbean Red Snapper, Yelloweye Snapper, Queen Snapper, Mutton Snapper, Hog Snapper, Black Grouper and Red Grouper. Sourcing Mahi and Wahoo requires constant monitoring, as well as close attention detail. We have the experience and resources that consistently produce the highest quality products at competitive prices year round! We make sure the fish is trimmed to produce the best possible yield for our customers. We combine quality, yield and competitive pricing to make things easier and more profitable for you.